Separating the growth hormone therapy myth and facts from one another is crucial before you make a decision to begin treatment with HGH injections. What is truth and what is fiction about HGH? Will human growth hormone therapy stop you from aging? Will you develop super-human strength and muscles from HGH injections? Can taking growth hormones help you if you do not have adult growth hormone deficiency? The answer to those questions is NO! HGH will not stop aging, make you a bulging muscle superhero, or provide benefits to people whose bodies still produce enough growth hormone for their needs. Those are all clearly myths. Are there valid reasons why some people might benefit from using growth hormone therapy? Yes, and that is why learning about growth hormone myth and facts is so important. Growth hormone, also called somatotropin, is one of the body’s most valuable chemical messengers. GH impacts how well the body reproduces new cells to take the place of those that die off. This one function alone can affect your muscles, bones, skin, blood circulation, hair, nails, internal organs, and even your eyes. If for no other reason, maintaining proper growth hormone levels for cellular regeneration is essential. That is not the only reason why this chemical is so important. First, however, we want to dispel some of the rumors and myths about growth hormone therapy. The hype that surrounds human growth hormone often overshadows what the truth about this vital chemical is all about. Separating the HGH myth and facts can point you in the right direction to make a choice that will best suit your body’s needs. There is no such thing as anti-aging. You cannot stop time. No matter how hard you try, the Earth will still rotate around the sun, and you will continue to age as long as you are alive. That being said, that does not mean your body has to breakdown with the passing of time. You may continue to age, but you do not have to show the signs of aging. Only people whose bodies are deficient in somatotropin can benefit from receiving HGH therapy. Even bodybuilders who believe HGH will produce larger, stronger muscles are in for a surprise – HGH does not accomplish this. While it will increase lean muscle mass in people with a verifiable deficiency, it will not have this effect on everyone else. 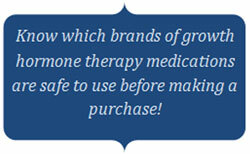 Among the most popular growth hormone therapy myth and facts is the cost. 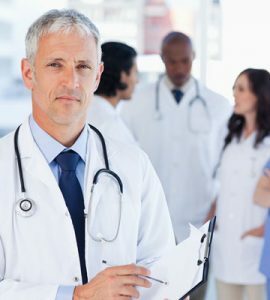 Today, there are so many name brand pharmaceutical companies producing HGH injections in a variety of options that most people can find legitimate, affordable HGH treatment here at HT Medical Center. Growth hormone is not a steroid, it is an amino acid polypeptide, and HGH only works for people with a true deficiency. HGH releasers are not real human growth hormones. Their function is to stimulate the release of increased somatotropin. They also do not work as quickly as HGH therapy. Now let us talk about the truth behind the growth hormone therapy myth and facts. 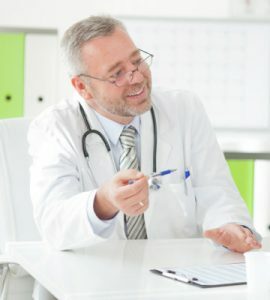 Doctor supervised treatment with human growth hormone injections is safe when prescribed following comprehensive blood tests, physical examination, consultation, and a review of the individual’s current and prior medical history and medications. 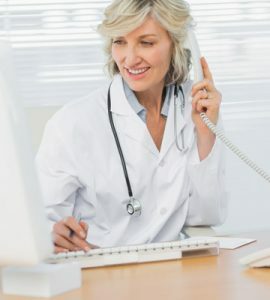 At HT Medical Center, we prescribe hormone replacement therapy to adults over 30 who are found to be hormone deficient following all diagnostic protocols. Contact us today for a free consultation.